Mining travel is a big line item in the balance sheets of many large mining companies. CWT Energy, Resources and Marine senior director Marty Lonergan speaks to Australian Mining about the focus on mining travel as the market continues to recover. Mining, construction and utilities company Komatsu has launched its biggest ever recruitment drive to employ technicians across Australia, New Zealand and New Caledonia. In one of the most comprehensive fly-in fly-out (FIFO) research studies undertaken in Australia, rates of psychological distress, workplace bullying and burnout were found significantly higher among FIFO workers than their non-FIFO counterparts. 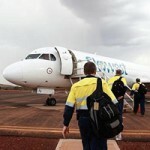 Brisbane-based Alliance Aviation Services has extended an air charter contract with BHP Nickel West by five years. 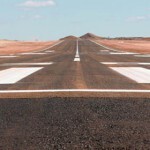 Cobham Aviation Services has secured a three-year contract with OZ Minerals to provide fly-in, fly-out (FIFO) services between Adelaide, Port Augusta and the Carrapateena copper-gold project in South Australia. Aerofloat has been providing wastewater treatment solutions for over fifty years. Managing director Ray Anderson talks about how it delivers effective sewage treatment to FIFO camps across the country. The McGowan government has released an updated draft FIFO code of practice to protect Western Australians’ mental health in the workplace. 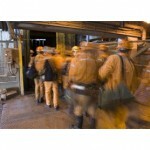 Remote mine workers are at significantly higher risk of psychological distress than the general Australian population, according to a report from the Medical Journal of Australia (MJA). Dani Tamati, recruitment specialist and human resources manager at mining industry agency (and Prospect Award winner) THE resources Hub, identifies three of the biggest employment trends she has identified in the mining industry recently. The Queensland Government has passed a law prohibiting 100 per cent fly in fly out (FIFO) workers on large resources projects near regional communities. Swift Networks is working with mining companies around Australia to improve the entertainment and communications facilities at FIFO villages. A mining job advertisement only open to job seekers who live close to Brisbane’s Airport has been described as “a direct kick in the guts” for regional Queensland. Following research that found fly-in fly-out (FIFO) workers are twice as likely than the rest of Australia’s general population to experience depression and anxiety, one man designed a new preventative measure to change that statistic. The Australian Competition and Consumer Commission (ACCC) has decided to approve the Charter Alliance agreement between Virgin Australia and Alliance Aviation Services to provide fly-in fly-out (FIFO) services in Western Australia, after it was initially rejected due to competition concerns. A new disruptive technology will enable resources companies to save 9.2 hours per fly-in, fly-out (FIFO) swing, software company iHandover claims. The Australian Competition and Consumer Commission (ACCC) has opposed a strategic partnership between Virgin Australia and Alliance Aviation Services as it would mean two operators would dominate fly-in, fly-out (FIFO) services in Western Australia. Queensland natural resources and mines minister Anthony Lynham has introduced to state parliament proposed laws banning 100 per cent FIFO workers on new large resource projects. A new sea creature discovered off Western Australia’s Dampier coast has been named after FIFO workers.